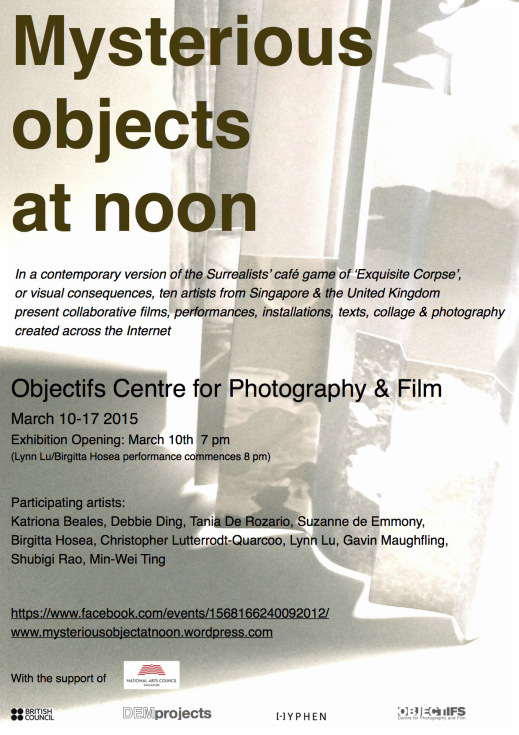 Showing ‘Things that once were, as they are now’ (2015) as part of a collaborative artwork with Singapore based artist Shubigi Rao, at this exhibition at the Objectifs Gallery in Singapore. Curated by DEM projects and supported by the National Arts Council, Singapore. Participating artists:Katriona Beales, Debbie Ding, Tania De Rozario, Suzanne de Emmony, Birgitta Hosea, Christopher Lutterodt-Quarcoo, Lynn Lu, Gavin Maughfling, Shubigi Rao, Min-Wei Ting.